Announcing the 2018 Innovation Award Winners! 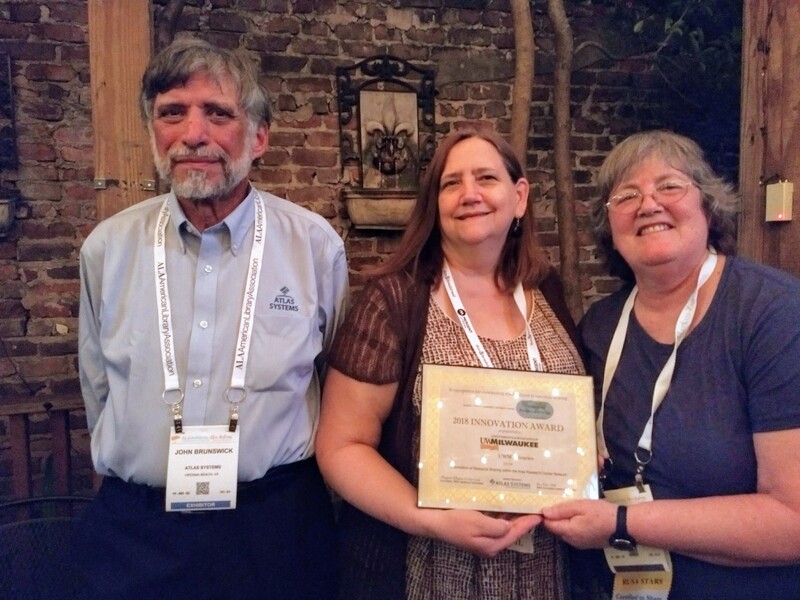 NEW ORLEANS, June 25, 2018 —The Rethinking Resource Sharing (RRS) Initiative has announced two winners of the 2018 Rethinking Resource Sharing Innovation Award. They are the IDS Project for IDS Logic, a highly customizable service that significantly enhances interlibrary loan workflows, and the University of Wisconsin–Milwaukee Libraries for developing an automated alternative to paper-based archival resource sharing within the Wisconsin Area Research Center Network. The Innovation Award comes with a $500 stipend and honors individuals and/or institutions for improving access to information through resource sharing in their library, consortium, state and/or country. The purpose of the award is to showcase innovation in resource sharing and to encourage other librarians and libraries to make changes in their resource sharing operations to improve information delivery to library users. This year’s award winners, who will split the stipend amount, were recognized for their innovative contributions to resource sharing at the American Library Association’s 2018 Annual Conference in New Orleans. Continue to the full 2018 Rethinking Resource Sharing Innovation Award Announcement for more information on our winners.